Comments: "Effective Presentations for the Club Magician." From the author's column in "Linking Ring". 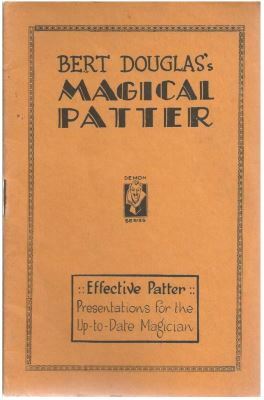 Provides patter ideas for tricks such as the cut and restored rope, multiplying billiard balls, and so forth. 10 The Spider and the Card: Stanley Collins effect from "Original Magical Creations"